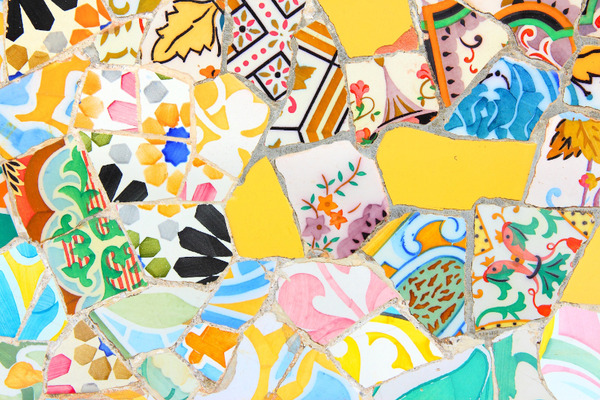 Getting lost in the wacky masterpieces of Gaudi in Barcelona, passing by Picasso abstract paintings in Madrid and end on a smooth note in Andalusia: our Spanish panorama will surprise you and will make you travel in time. You will discover different facets of Spain and you will find the variety of landscapes, cultures, linguistic and gastronomic, from one region to another. This tour combines culture and relaxation. 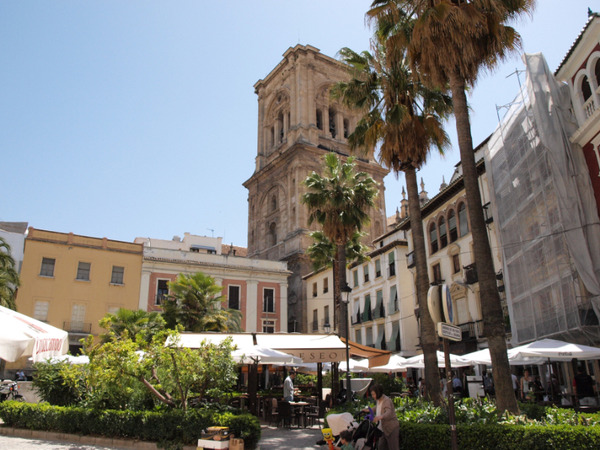 There is no doubt that you will fall in love with the architecture of the monuments and you will quickly get used to the ritual of tapas to accompany your drinks. Let's follow the rhythm of flamenco and enjoy the treasures of Spain. Tour guide who speaks your language. Barcelona is known as the capital of modernism where the famous architect Antoni Gaudí lived and worked. 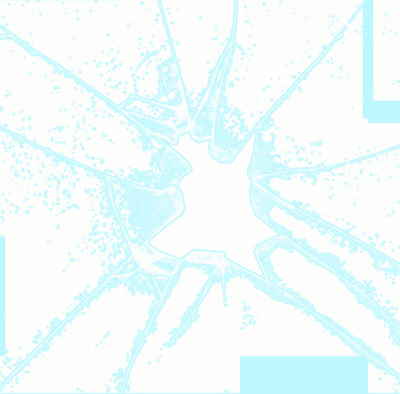 He left his mark there. Tourists looking for art will be delighted to discover his treasures. The full day will start with the amazing Güell Park which is listed as UNESCO World Heritage site since 1984. Don't go too far from your guide because it's easy to get lost. The next stage is the visit of Sagrada Familia basilica. It's an unfinished masterpiece where vaults can reach 60 meters in height. You will continue your day crossing Passeig de Gracia in order to discover the famous Gaudi's buildings : La Pedrera y Casa Batlló. Night at Avenida Palace hotel. 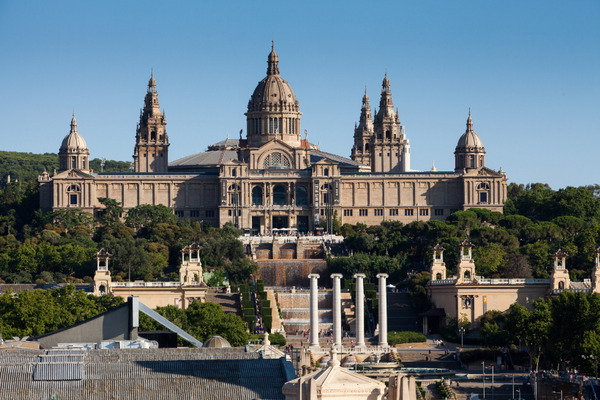 You will begin your day with Plaza España in order to visit the most emblematic places of Montjuic mountain which are the castle, the universal exhibition from 1929 to 1992 and the olympic area. 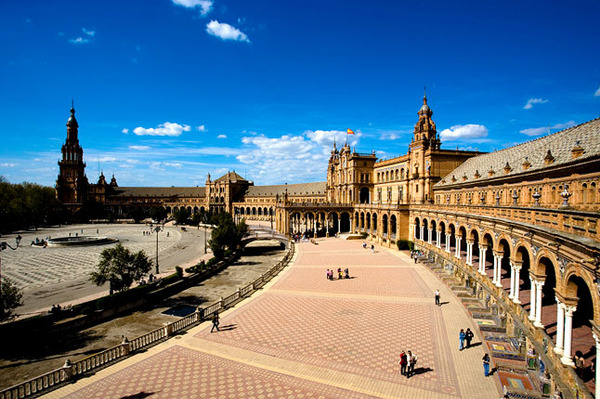 The visit will start at the foot of Neptune god's monument in Plaza España where we can look at the two Venitian towers. Your day will continue through Mies Van der Rohe's detached house and other buildings built for the universal Exhibition of Barcelona in 1929. Then you will visit the Poble Espanyol, an outdoors architectural museum built in 1929 in order to make known the richness and the diversity of Spanish territory. Next you will penetrate into the olympic ring where 1992's Olympic Games infrastructures were built. 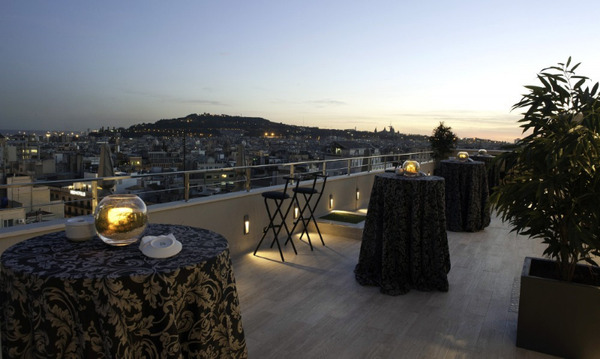 You will enjoy a panoramic view over Barcelona. From there you will go to Montjuic castle, built in 1751. In option : water, sound and light show in "Magic Fountains" (show from thursday to sunday at 9 pm between 31 March and 30 October. Combine gastronomy and Catalonian culture in your half-day tour around the most famous tapas pubs in Barcelona. 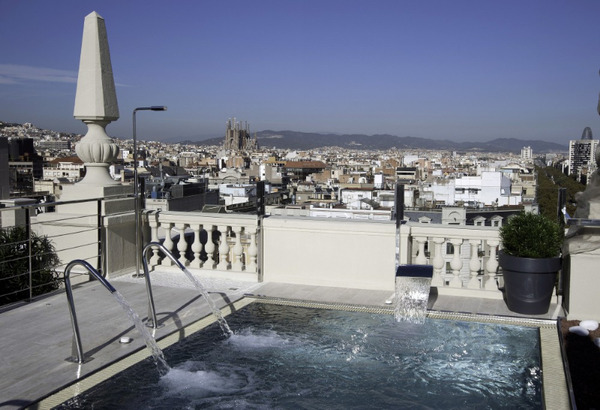 Indeed, there is an excellent way to discover the capital of Catalonia: You will have a nice overview of this wonderful city, in addition to learn how Spanish people like to eat around the best addressess in town. While the excursion, you are going to taste some tapas (croquetas, pinchos…) as well as culinary specialties. 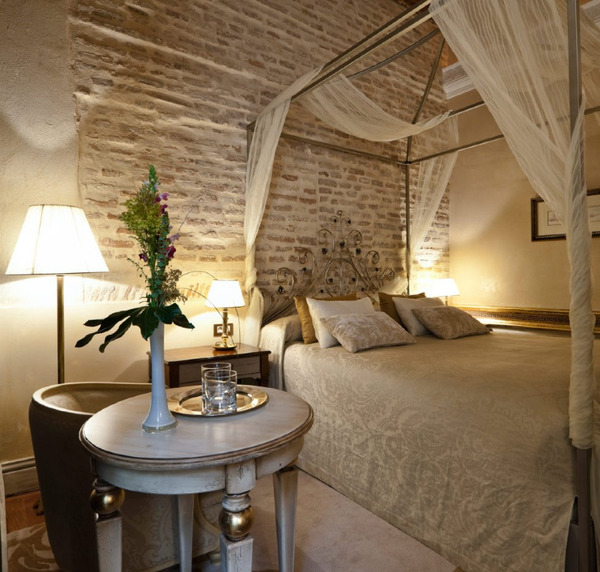 The visit will lead you through the famous streets from the Rambla to the gothic yard, from tapas pubs to restaurants. 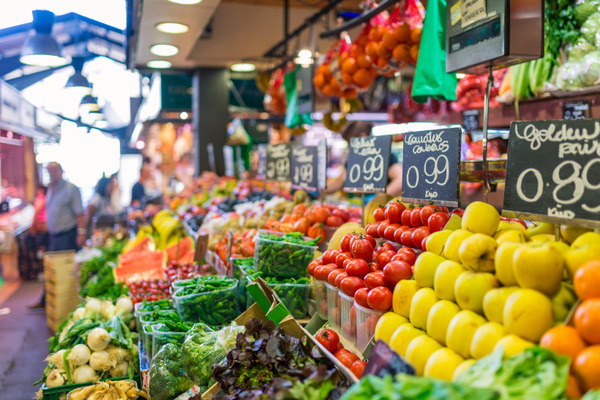 Moreover, it goes to La Boqueria, popular market which offers a wide range of fresh products and colors: vegetable, seafood, cheese and many kinds of meat. It will continue into a restaurant with a wide selection of delicious local’s tapas, then it will be the first opportunity for a degustation accompanied with a glass of wine, soft or beer. 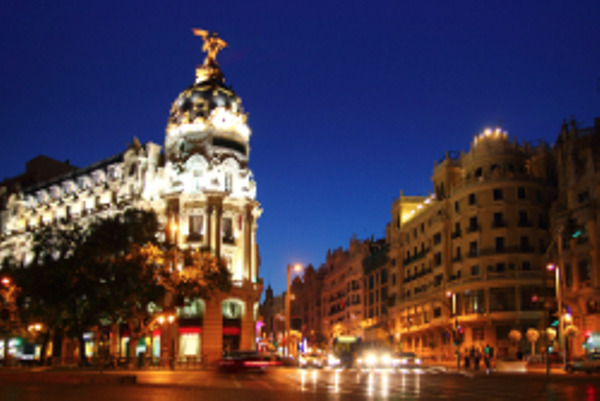 Although your guide tells you everything you need to know about food and Spanish culture, you will progress through the gothic district in the purpose to discover the impressive architecture, the atmosphere, and some centuries-old shops. The last stop will take place in a bar-restaurant where are waiting other tapas with a drink. Private transfer from your hotel to Barcelona airport. Flight from Barcelona to Madrid. Full-day devoted to the historic center with your guide: Plaza del Sol, Plaza Mayor, Gran Vía, Plaza de la Villa, Royal Palace and Cathedral of Almudena. Plan 1h30 extra for visiting a museum or a monument. At the end of the day, you can go to Debod Temple or Retiro Park to admire the sunset which is wonderful. Night at AC Palacio del Retiro hotel. 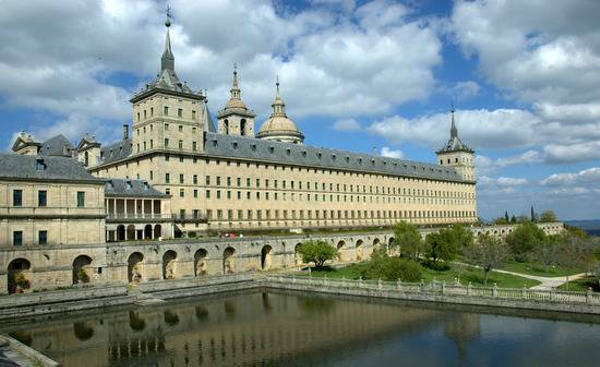 Private transport from Madrid to El Escorial and Segovia. Return transfer from Madrid to Toledo. About 2h30 trip. 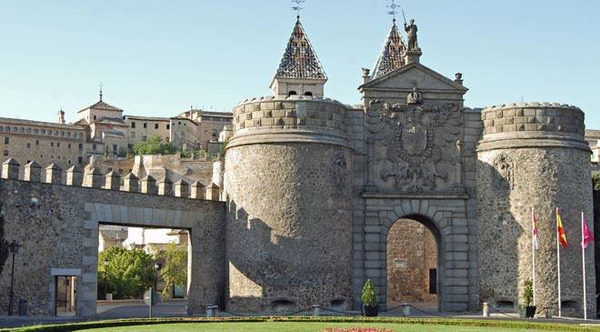 Guided tour in Toledo (half day). Former capital of Visigoth kingdom, its became the melting pot of a unique civilization where Christian, Jewish and Muslim forged the Medieval Spain after its recapture in the late XIXth century. Until 1561 Kings of Castile lived in Toledo. You will visit places as the monastery of San Juan de los Reyes, the cathedral and/or Santo Tome church. In 2014, Tolède celebrated the 400th anniversary of the death of the famous painter El Greco. 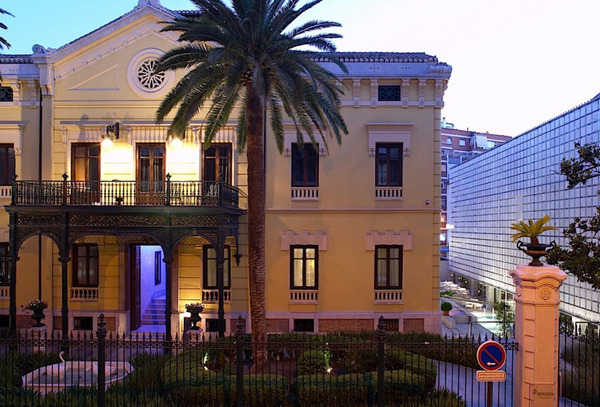 His museum (closed on Monday) allows the public to discover the artistic world of El Greco which was one of the inspiration for artists such as Picasso or Pollock. Night at Eurostars Palacio Buenavista hotel. Corral de la Morería, was started by Manuel del Rey in 1956, and is the most famous flamenco tablao in Madrid. Throughout its history, Corral de la Morería flamenco show has witnessed the perfomance of some of the finest professionals of this discipline, including: Pastora Imperio, La Chunga, María Albaicín, El Güito, Mario Maya, Manuela Vargas, Lucero Tena, Isabel Pantoja, Antonio Gades and Blanca del Rey, not to mencion an endless numbre of singers, guitarist and dancers. 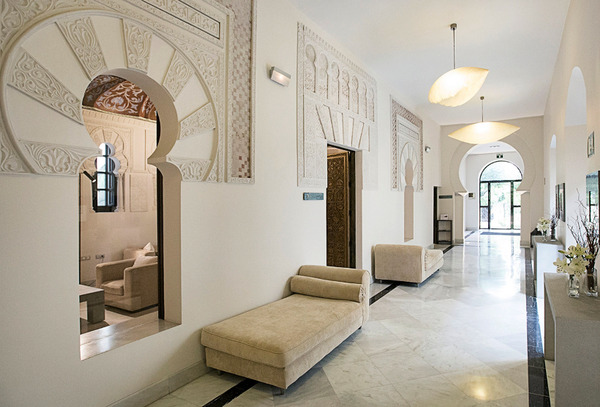 Its location is priviledged, next to the Royal Palace, in the main historic quarters of the city, its decoration, the arabic corbels and streetlamps dating from the 18th and 19th century recreate a setting reminiscent of the original tablao flamenco, that takes you back in time. Corral de la Moreria is considered as the "Cathedral of flamenco art" of Spain. Flight from Madrid to Sevilla. An English speaking guide will be with you during the transfer. Night at Casa 1800 Sevilla hotel. 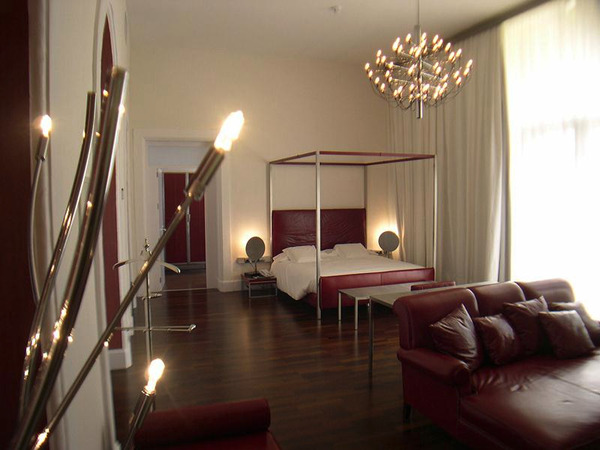 Night at Hospes Palacio de Bailío hotel in standard room. 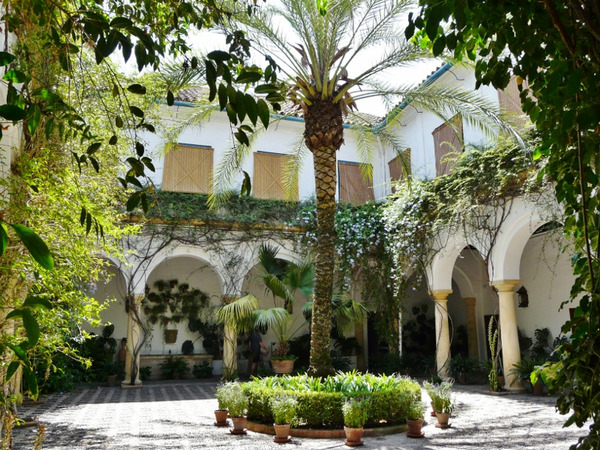 Let the Jewish, Moorish and Christian Córdoba seduce you. 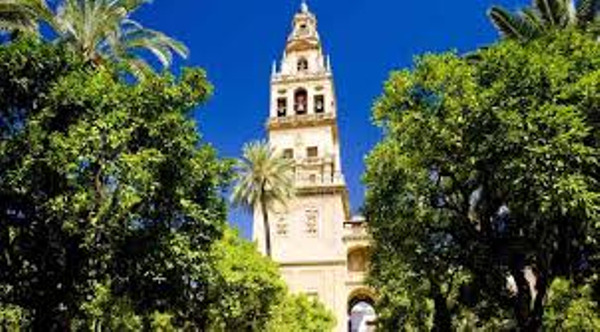 This visit will enable you to stroll through the historic center - registered in the list of UNESCO World Heritage - and to broaden your knowledge. Night at Hospes Palacio de los Patos hotel*****. Private transport from Granada to Ronda. Night at Catalonia Reina Victoria hotel in standard room. 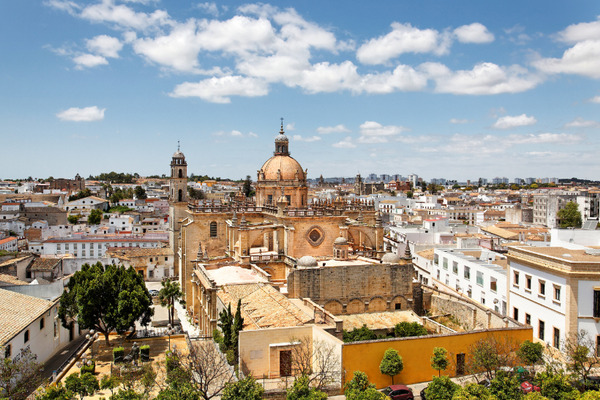 Private transport from Ronda to Jerez to discover and taste sherry wines. On the way you will stop in Arcos de la Frontera, one of the white villages which made Andalucia famous. About 1h30 drive. Every tuesday and thursday at noon (you will have to withdraw your tickets by 11am the same day as the show), your program will take you to visit the famous Royal Andalusian School of Equestrian Art. Its activities are numerous: training of riders and technicians from the world of horses, selection of purebred Spanish horses for reproduction and survival of the species or promotion of equestrian art thanks to its performance you attend. "How Andalusian horses dance " is an authentic equestrian ballet choreography extracted mounted on covers of Classical Dressage & de Doma Vaquera, a Spanish music and costumes inspired by the eighteenth century. 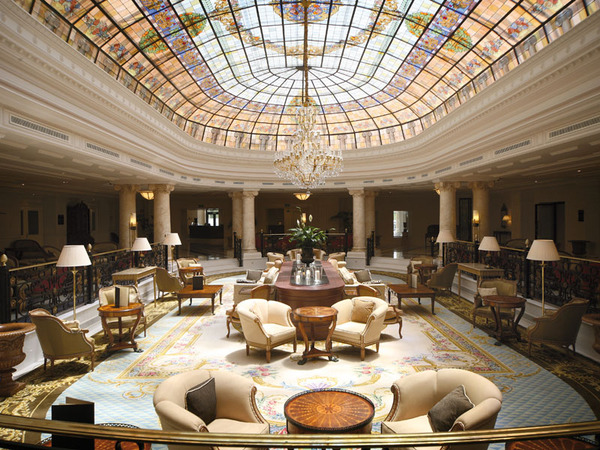 The year 1952 was an eyewitness of a big hotel origin: The Avenida Palace Hotel. This symbolic establishment was built where the mythical Tea Saloon and restaurant Casa Libre was situated. Numerous public, cultural and social life authorities attended tis inauguration; among the others, an outstanding authority was Bishop Moreno, who was the person in change of the inauguration. Its noble and charming style has turn it into the most chosen option, throughout the years, by a lot of celebrities that have visited the city. Ernest Hemingway, Joan Miró, Lizza Minnelli, have been some, just some of the countless very important guests in the hotel. But, without a doubt, the Beatles’ were the guests who most expentancy produced -some “cheerful and full of life young” that according to Mr. Rojas, Head Reception in ‘that’ 1965, came to Barcelona to give their European tour last concert in the Monumental Bull Ring, a historic 3rd of July 1965. 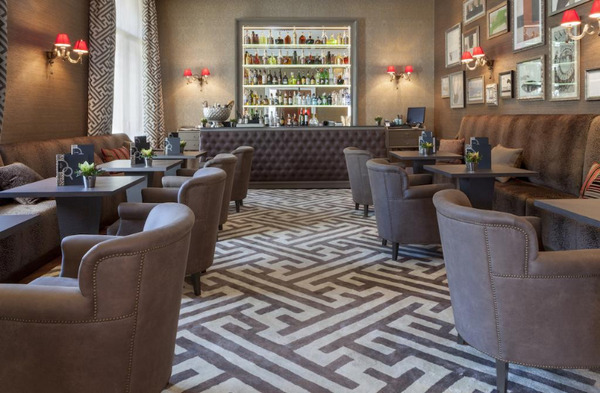 Palatial home built in the beginning of the 20th century converted into a discreet 50 room luxury hotel. Unique building protected by National Heritage status where you can enjoy the pleasure of resting in one of the historic buildings of the centre of the city, located in front of the famous Retiro Park and close to the Paseo de Recoletos. 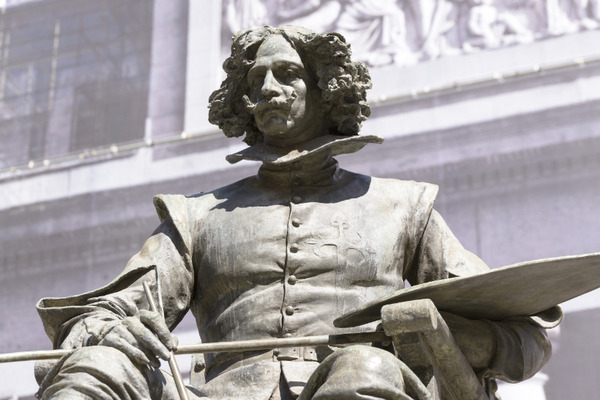 It occupies the centre of the magical Art Triangle, Prado Museum, the Thyssen-Bornemisza Collection and Reina Sofía National Art Museum. 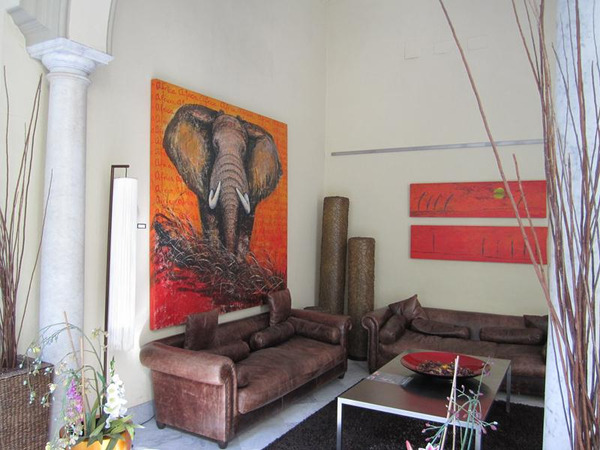 Ideally located in the centre of the cultural, financial and business area. 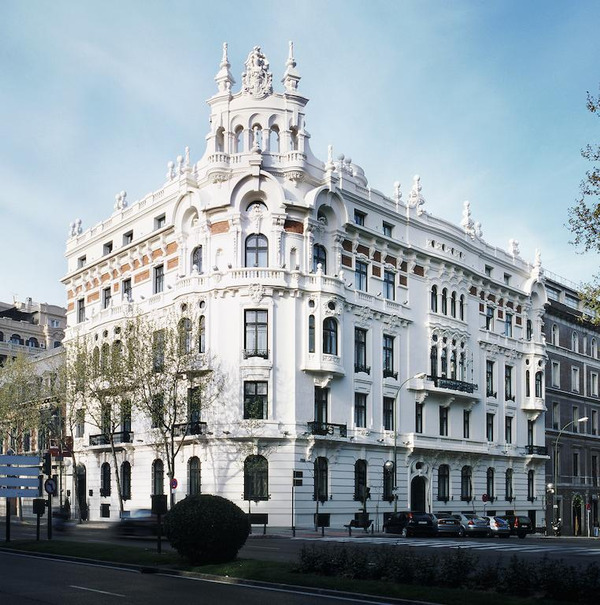 A full service business centre, counting with 5 meeting rooms of different sizes equipped with internet WIFI system makes of the AC Hotel Palacio del Retiro, Autograph Collection the ideal venue for holding meetings, conferences and celebrations. 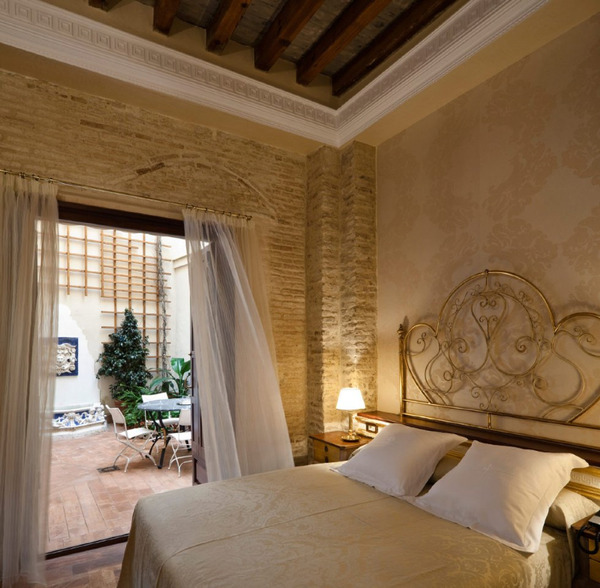 With its harmonious congregation of history and modernity, luxury and tranquillity, the Eurostars Palacio Buenavista is the object of desire of all visitors to Toledo. 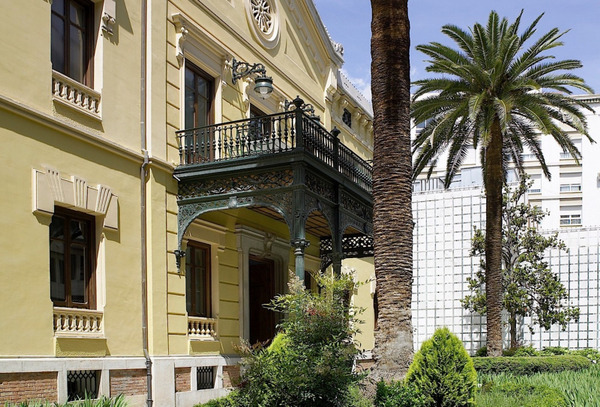 It occupies the space where the Buenavista Palace was built, apparently designed by no other than El Greco, and where famous literary and artistic figures, such as Miguel de Cervantes, Tirso de Molina, Baltasar Gracián and El Greco himself, used to hold social gatherings. 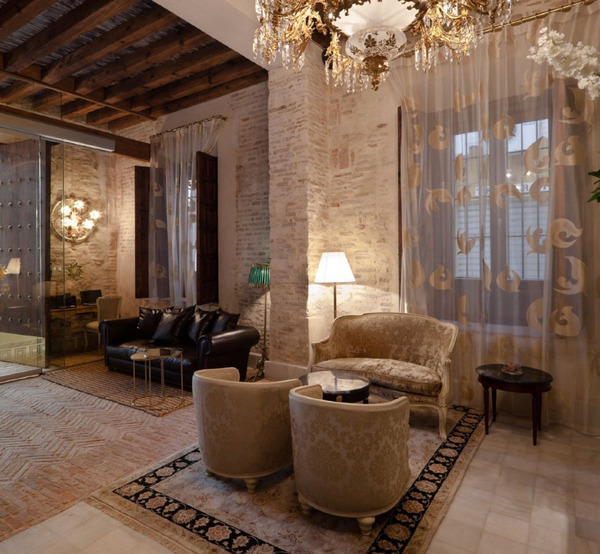 Today, this palace is a real oasis of luxury and rest, with spectacular panoramic views of Toledo's historic centre with 117 rooms and luxury suites, a complete spa with a wide range of packages and massage and beauty services, as well as over 20 spaces where personalised family or professional events can be held. 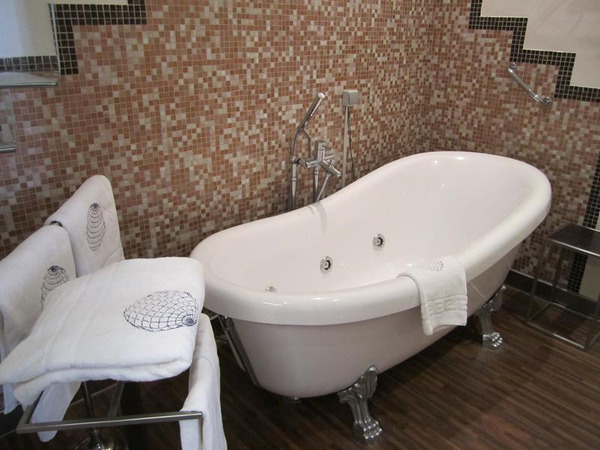 The hotel also has a spacious garden, a swimming pool, a 24-hour fitness centre and indoor parking. 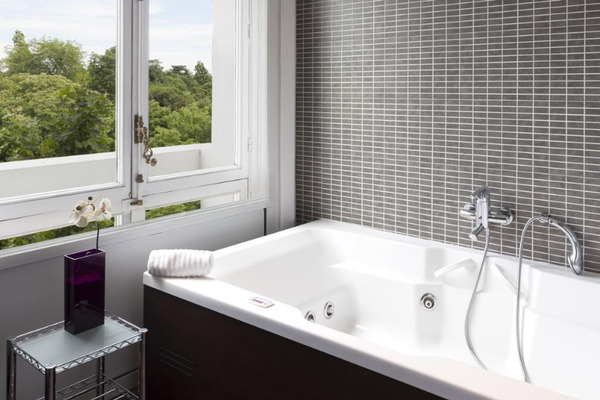 It is quite possibly one of the hotels with the highest level of customer satisfaction in southern Madrid. 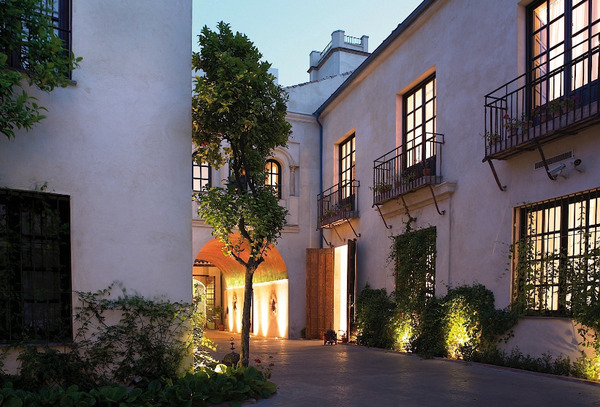 The Hotel Casa 1800 is a mansion-palace located in the historic centre of Seville. This house was built in 1864 following a traditional layout. 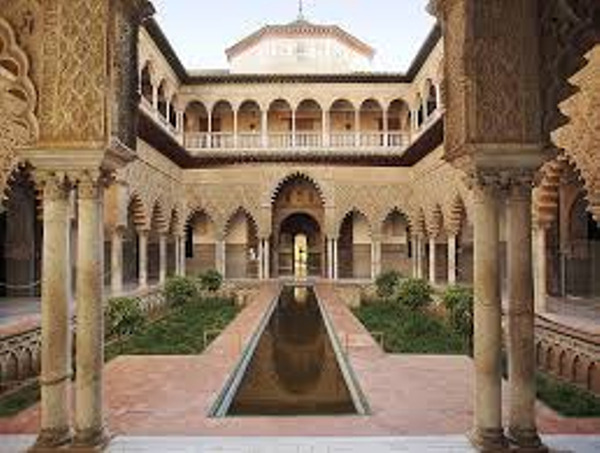 Its studded solid wood doors allow entry to the palace with a horse-drawn carriage, from wich when on-foot could then access a central courtyard from all rooms were distributed. 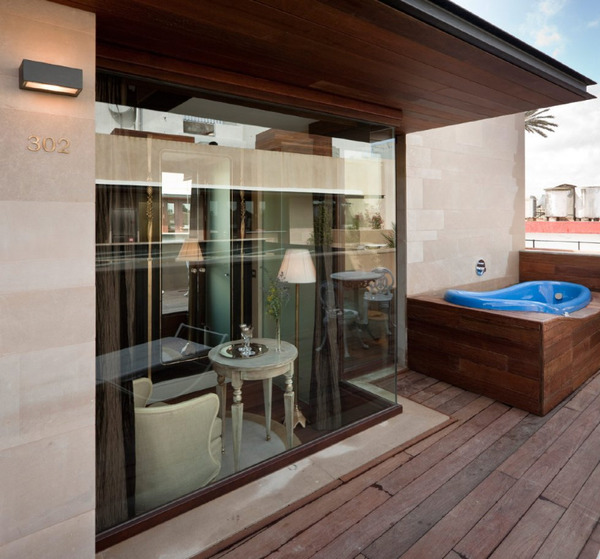 The three-storey house, flooded with light from the central courtyard and because of its central location in the city, offers you spectacular panoramic views for you to enjoy from the terrace. 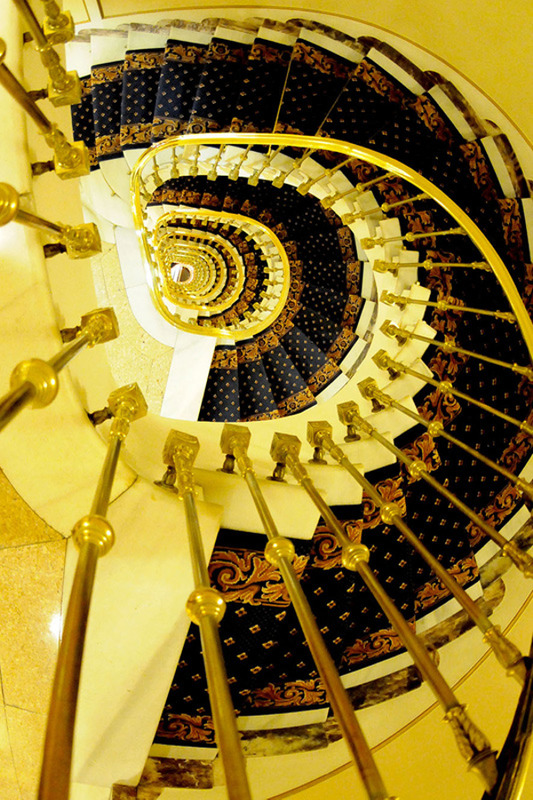 After two years of meticulous restoration that has enhanced the most original architectural elements, and has respected the spirit of the times in its sumptuous decor, it has succeeded in transforming this mansion-palace into a unique charming hotel where one can relive the splendour of the past combined in a perfect balance with the lates technology of today. 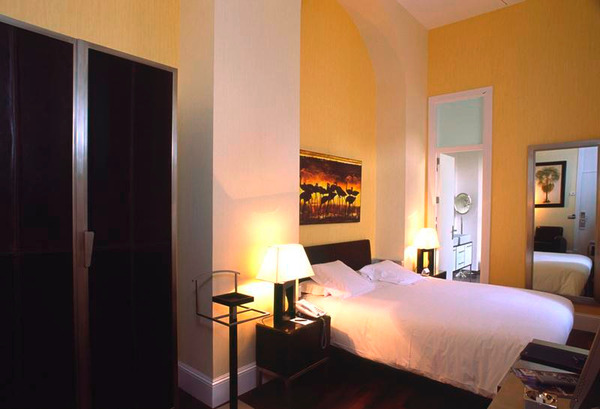 Hotel Hospes Palacio del Bailío is located in the heart of the historical caliphal city and has been declared a world heritage site within the Monumental category during the year of 1982. It represents a choice to those who seeks culture, wellbeing, art, history, gastronomy and rest. The palace is an old manor characterized by its grand size, its courtyards and its limestone structure coated with limestone mortar and by its 4 one of a kind andalucian-style courtyards adorned with flowers, fruit trees and aromatic plants.The central courtyard measures 160m2 with glas flooring which reveals traces of an impressive Roman Villa from the first Centruryb.c. 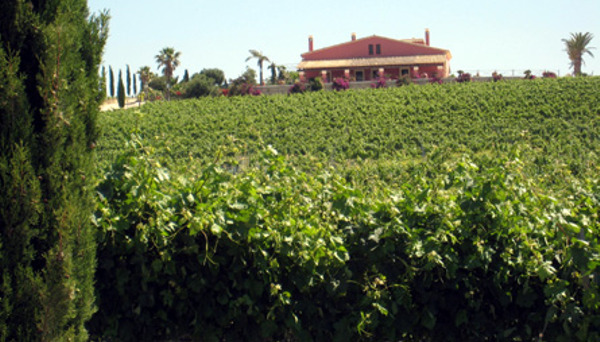 It is also the only Hotel that is located in an oasis surrounded by fruit trees and aromatic plants. 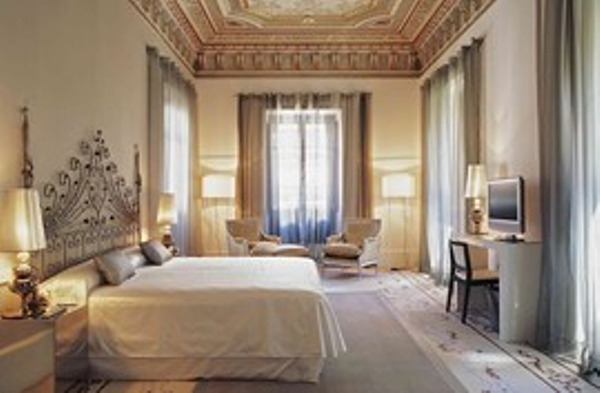 Located in an old palace in the historical and financial heart of Granada. 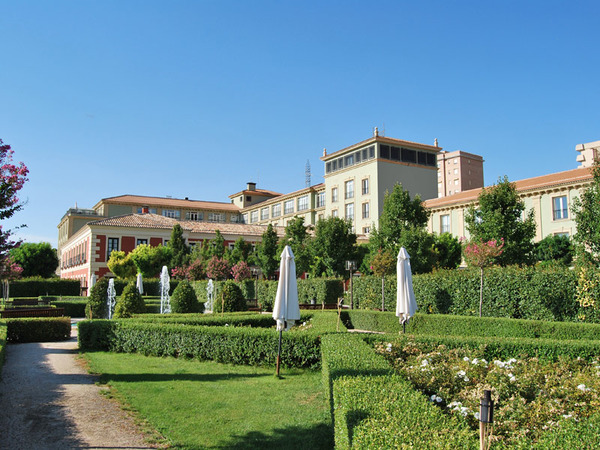 Hospes Palacio de los Patos represents a suggestive combination of two builidings that look at each other with complicity: The Patos Palace. 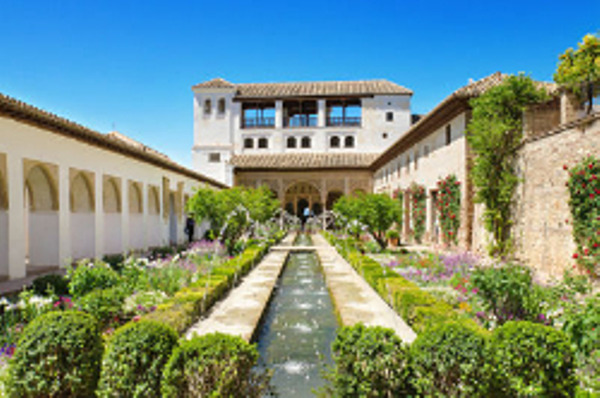 The Palacio de los Patos is a five star hotel in Granada. A good reference in the Hospes tradition as it has also recovered an architectural, historical and cultural building, without forgetting the most innovative design and the most suggestive comfort. 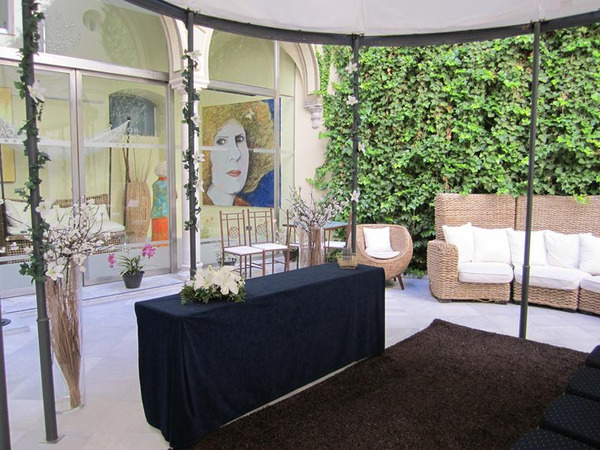 This boutique hotel in Granada, has exquisitively decorated spaces and a select cuisine, based in the natural quality of the local products, and a Bodyna Spa, the most complete combination of services designed for the well-being of its clients. 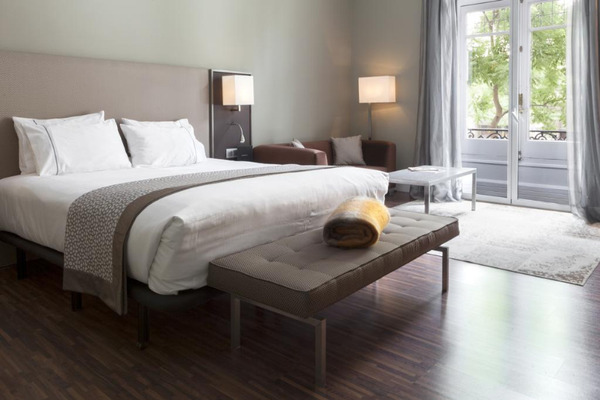 The hotel, totally renovated in 2012, is settled in a unique environment, between a lovely pine forest in the middle of the town, very close to Ronda's landmarks and the famous Tajo de Ronda. Around the hotel, which has 95 fully equipped rooms, there's an amazing 3,000sqm garden in which our guests can enjoy our swimming pool and our terrace.